We will be staying at Hotel Manaslu or similar hotel 3 star in Kathmandu : and teahouses during the trek. All accommodations are on twin-shared basis. Single supplement will be served on request and will cost an additional. Discovery Mountain Trek will arrange rooms with attached washrooms; however, teahouses in some places only have shared washing and toilet facilities. Also note that single rooms are readily available in Kathmandu and the trekking regions at lower elevation but it might be difficult to find them at higher elevations. Located near the border of Nepal and Tibet, Tsum Valley and Manaslu lies to the west of Kathmandu Valley. The region is one of the popular trekking regions in Nepal. While there is no such official ranking, Tsum Valley and Manaslu is by popularity the preferred destination after Everest, Annapurna, and Langtang. Tsum Valley and Manaslu is a restricted area, requiring special permit to travel. Discovery Mountain will arrange the paperwork for you, so that you can concentrate on trekking and not waste time on the formalities. 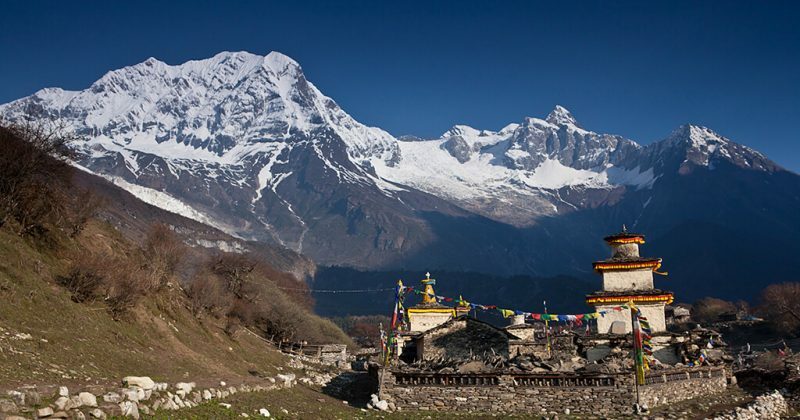 Tsum Valley and Manaslu Circuit Trek is full of cultural, natural, and spiritual experiences. Sects of ancient Tibetan Buddhism are protected here in monasteries. Trekking beneath the shadow of the giant mountains is an adventure not to miss in this protected region. 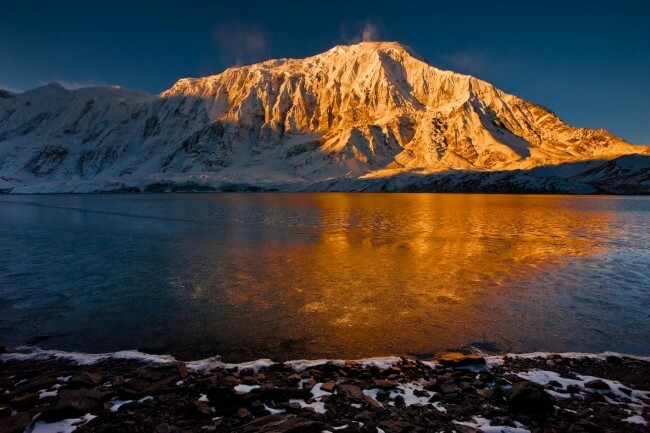 Prominent peaks you will encounter are Mount Manaslu, the eighth highest mountain in the world at 8,163 meters. Other peaks visible during the trek are Ngadi Chuli, Ganesh Himal II, Saula, Cheo, Shringi peaks, and Himlung Himal. Our 20-day trek takes you to Arughat and Jagat. Following the Budhi-Gandaki river and Shir Khola in the Tsum Valley, we passing through the villages like Chumling, Chokhangparo, Rachen Gompa (Nunnery Monastery) and back to Lokpa, And then we continue trekking trail to Manaslu Circuit we cross Deng and Namrung, arriving at Samagaun in the Manaslu Conservation Area. Further up, the well-trodden pass of Larkya-La has magnificent views of the surrounding mountains. This pass is at an altitude of 5,160 meters, the highest point of our program in Manaslu. This trek will exhilarate you and make you fall in love with Nepal. The off-the-beaten trail of Manaslu Circuit is unspoiled, beautiful, and welcoming. Beginning from Jagat, you first climb up an ascending route to Saguleri. 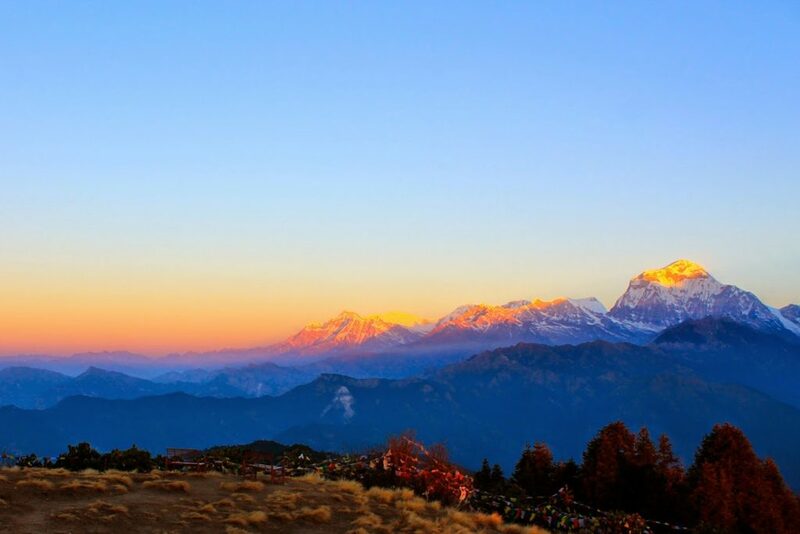 Here you can have wonderful views of a lesser known mountain called Shringi Himal whose altitude is 7,177 meters. then descend to Sirdibas. From there trek wester further to Sirish Gaun and arriving at the valley widens a bit as the trail continues up to Ghatta Khola. Then you cross suspension bridge and climb up to Philim, a large gurung village where you overnight in lodge. We start our trek after our breakfast from Philim to Chumling. First we head to Ekkli Bhatti cross the gorge around half an hour then we will see a beautiful waterfall and walking through the pine forests. We walk down continue on the right side of the Buddhi Gandaki then we leave the way to Manaslu Circuit, and follow the Siyar Khola the trail going to the Tsum Valley. From where we enjoy the views of Mt. Manaslu the altitude of 8163m, Boudha Himal then we rich at Lokpa, a small beautiful village. From Lokpa, we descend to Lungwa khola and the trail ascending further two and half hours north through pines and rhododendrons. And we crossing the Siyar Khola, then finally we reach at Chumling, Overnight at Chumling. Today we leave from chumling to chokhanparo, passing through several villages by crossing the suspension bridge and passing through a very pretty pine forest. Then we walk continue to Ranjam and Serphu. After Serphu we cross the suspension bridge and climb up around 25 minutes to Gho Village. From here takes about 2 and half hours climb to Chokangparo. from where we can admire the view to the south on Ganesh Himal, Buddha Himal and Himal Chuli, Overnight in lodge. We walk from chokhangparo to Rachen Gompa it’s known as nunnery Monastery. We walk through the villages in the middle of barley crops, buckwheat and potatoes essentially, like all Tibetan-dominated highlands. Once we reach in Rachen Gompa then we visit it after our lunch. In a nearby cliff (20 minutes walk) is the sacred site of a cave where the holy hermit Milarepa meditated, Overnight in lodge. Today our trek back from Rachen Gompa to Chumling, Our trail through Lamagaon, Chokhangparo, Gho Village then we cross Serphu Khola by suspension bridge. After all we walk continue through pine and rhododendron forest. Finally we arrive at Chumling. We walk back continue ascent and decent to lokpa. Then we cross the Shir Khola and walk to the confluence with the Bhudi Gandaki Khola. We enjoy the Samba Falls and walk towards to Deng from where we admire nice view of Ganesh Himal and Shringi Himal. Then we continue to Bihi Phedi. Today, the trek will be shorter as compared to yesterday with just five to six hours of easy trek. The route is scenic with great views of several peaks in the Manaslu Mountain Range. From Bimthang, we follow the descending trail across pastures, cross Dudh-Khola and some beautiful rhododendron forests. From there we passing through the several starts off following a stone trail villages like Karche, Gho, Tilje and crossing Dudh Khola to arrive at the village of Thonje. From there, we trek to Dharapani – coming to a meeting point on the Annapurna Circuit. Overnight at Dharapani. After breakfast, begin the drive from Dharapani to Kathmandu via Besi Sahar. The route is scenic with winding roads along the banks of River Marshyangdi and Trishuli. It takes around eight to nine hours to reach Kathmandu. Once in the capital, you will arrive at the hotel, unpack, and relax. Later, you are invited for a traditional Nepalese firewall dinner in the evening.